This DIY piece brings a whole new meaning to “table lamp”. It is an actual side table that also acts as a lamp. 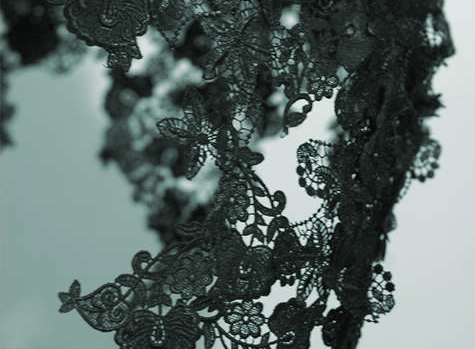 Lace has been glued to acrylic sheets, and the 4 acrylic sheets have been glued together, with the backside left open. 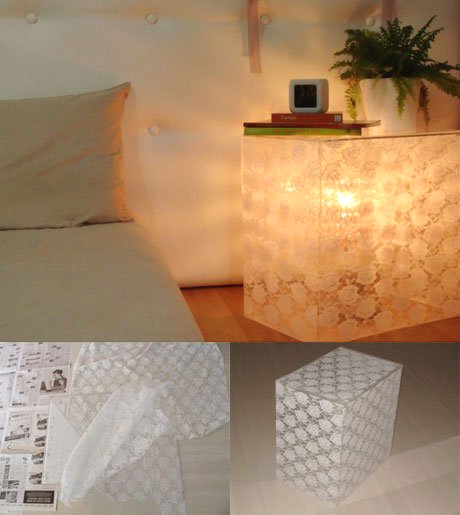 The lace diffuses the light and provides a soft ambient glow in the bedroom. 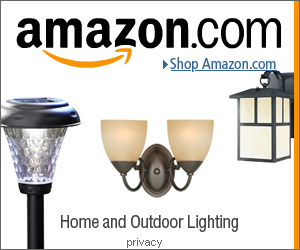 An elegant and ideal lighting piece for any bedroom – source. 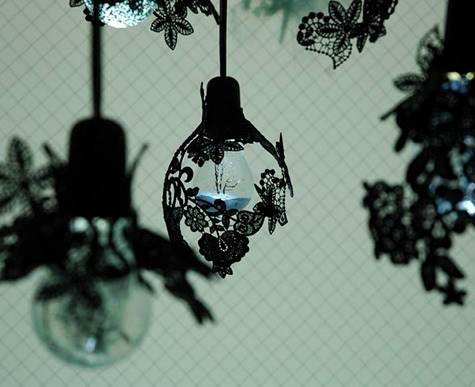 In our 2 DIY Lace Lighting Projects post we highlighted the DIY project that used lace and a large ball/ balloon to create a delicate lace pendant light. The lace is wrapped around the balloon/ball and the clear drying glue is then applied to harden the lace – and then the ball or balloon is popped and removed. Here we have a different version done by brownehsieh (site no longer available). 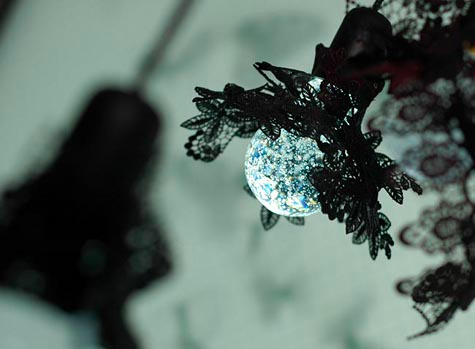 Once again the light shades are made out of lace, but this time instead of creating a whole sphere, only a part of it is made. The finished pieces are these elegant, almost gothic like, pendant light shades.